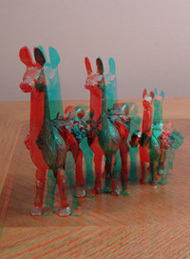 You will need a set of red/blue anaglyph glasses to view these pictures. 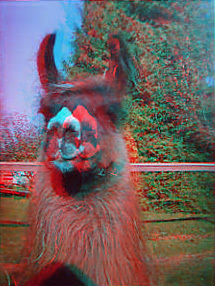 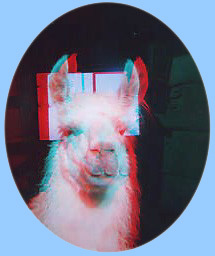 This anaglyph shows our llama Rain Rancer just after he had been sheared. 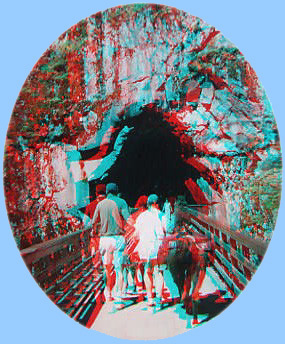 across a bridge into one of the Othello Tunnels near Hope, B.C. 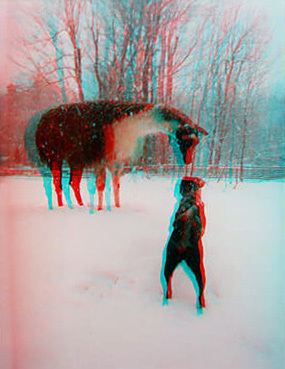 likes to keep and eye on his girls in the next field. 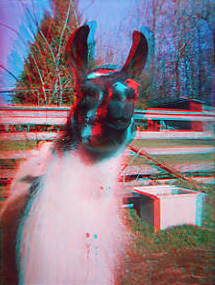 Llamaryllis is one of the girls the Ambassador watches over. 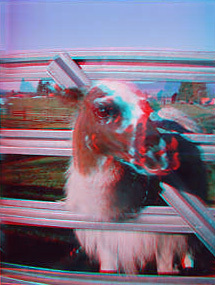 sticks his head through the gate to check out his girls. 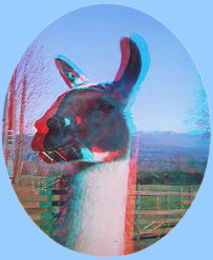 Queen Majesta, the llama, is not sure whether or not she wants to play with Sebastian. 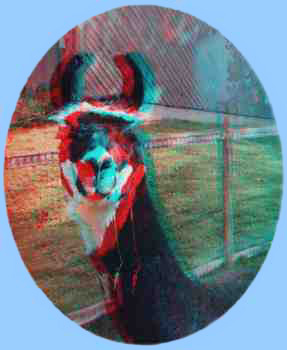 and on the right, Majesta is just posing with a bit of hay hanging out of her mouth. 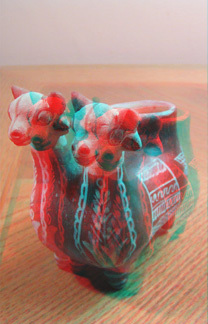 The four anaglyphs below are a few ornaments from Jane’s llama collection. 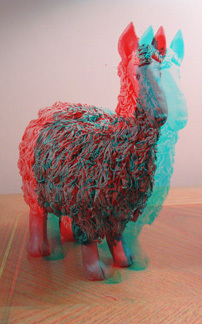 At least they stay still when they are having their photos taken. 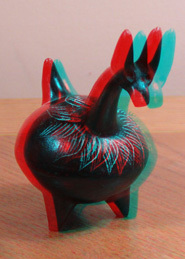 More anaglyph stereoview photos . . .